Ambie is a hybrid extended-release (long-acting) dose. It works best when taken as needed at bedtime. You will probably become very sleepy soon after mid-dose and will remain sleepy for some time after it ends. Plan to go to bed right after you take Ambie and to stay in bed for 7-8 hours. 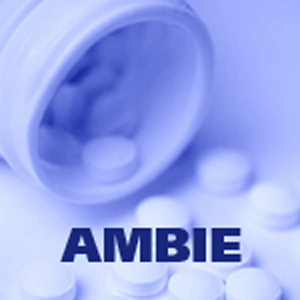 Do not take Ambie if you will be unable to remain asleep for 7-8 hours after taking the dose. If you get up too soon after taking Ambie, you may feel slugglish and tired.